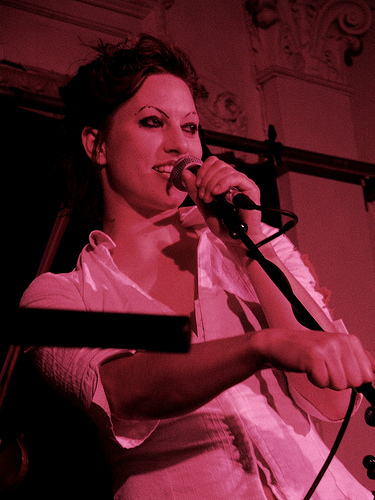 Before the new year, we were lucky enough to get an hour with Amanda Palmer for our book, Made with Creative Commons. I also read her phenomenal book, The Art of Asking. I came away from both feeling there is so much we can all learn from her success. Amanda is known as one of the masters of crowdfunding, but I think her magic goes much deeper. She understands the subtle but critical difference between seeking attention and seeking connection. We can’t all be like Amanda. She is the first to acknowledge that so much of what she does to connect with her audience — staying at the homes of strangers on tour, inviting fans into her home, sharing the intimate details of her life — would be torture to many of us. But I’m not convinced that her unusual openness is the key to her connection with her fans. I think it’s that she is simply being her authentic self (which just happens to be someone who is completely comfortable with living life as an open book!) and striving to make connections with the people who enjoy her art. The recorded songs, the tangle CDs, were only the tip of the iceberg: the perfect, frozen, beautiful soundtrack for something far bigger, and far deeper. The connection underneath was everything. That connection with her audience builds trust, which is what allows her to be so incredibly effective at asking her fanbase to support her financially. This model surely won’t work for every creator or in every field, but there are important lessons there about the importance of human connection — not just for open business models, but for life.